1. Why did you choose your impression? 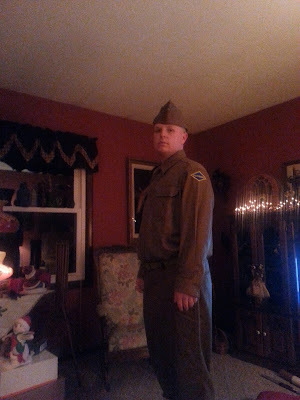 I chose my impression because I have been a WWII history buff since probably kindergarten. 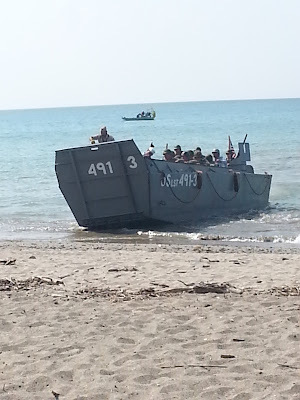 I went to D-Day Conneaut in 2015. One of the head staff helped me get the information I needed to get into this hobby. Major James Martin of the 101st Airborne 506th is the Airborne commander for the event and has been reenacting for 30 years or more. I went on field with him on the Foucarville and La Fiere bridge battle. I thought it was pretty cool but the next day, I watched the main D-Day battle and I was very impressed by the entire thing, especially the authenticity. 2. 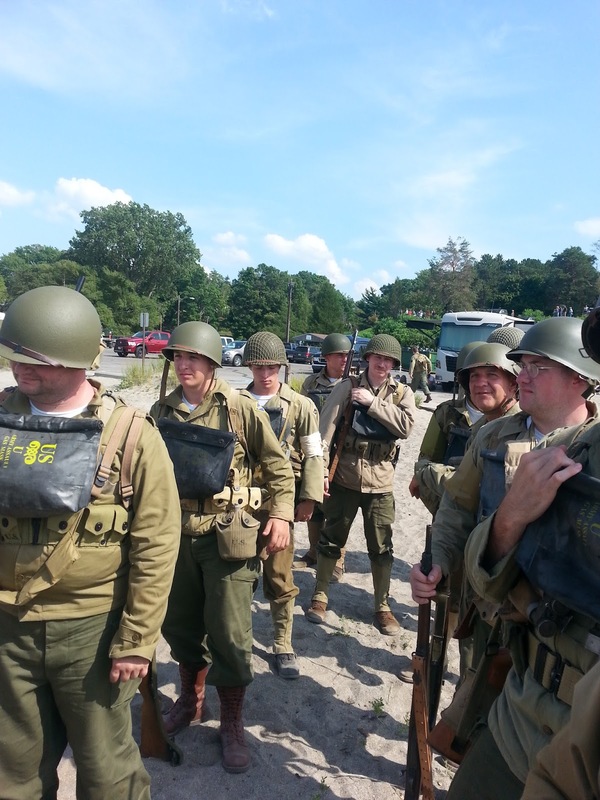 Can you tell us about your reenacting gear? My gear is Corcoran boots, M1937 or you can use the M1941 wool shirt, M1937 wool pants with a belt, M1923 cartridge belt for my Garand and you can also use it for clips of M1 carbine. It holds 10. I chose the Garand over the carbine since it is one of my favorite weapons of that time period. Really cool design, too. The blanks are not too expensive and one of my officers can make them for me at a great price. 3. What's your favorite part of reenacting? My favorite part is a very tough decision. The authenticity is definitely one of them. The veteran appreciation is really nice, too. The people you can meet at these events is another nice part including participants and veterans. I also love the fact that when you are in a group that you like so much, you can share and develop great stories from being on the battlefield with your friends in your group. 4. What group do you reenact with? Are they recruiting? I am in the 5th Ranger Battalion, Easy Company. We are accepting recruits as long as they are sponsored by a member. I chose this group because of being so interested in the US military for so many years. I decided that I wanted to join an American unit in that beach battle after seeing this event. I only had 5 choices. I decided after looking online through those groups, this one appeared to be the one closest to my area and still in the Conneaut event. I started going to events with my company and it has been an excellent experience for me. 5. 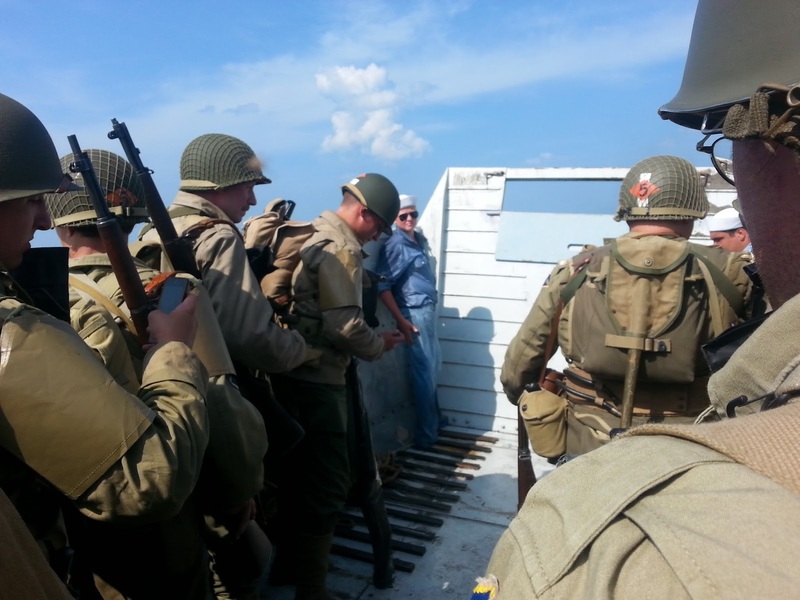 What have you learned from reenacting? I learned a lot of great things in WWII reenacting. You can learn a lot of history behind the war that's not in history books. Once you start taking pictures at events, it can help you improve on what to do next time, how to pose, the modern or original color, etc. I also learned that when you join a group, study their gear and clothing, guidelines, and things like that. When you are on the battlefield, you are still a family. They always look out for you, not just while engaged in battle, but also to make sure that you do what you are supposed to do in certain scenarios and make sure don't actually get hurt in the event. Always trust your officers in the field. Also, be as polite and courteous as possible when speaking to the public. 6. Who's your favorite WWII hero? 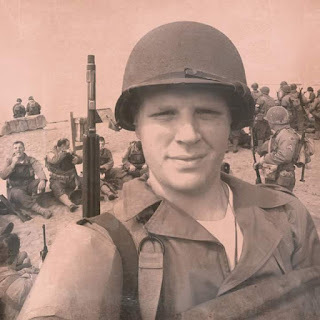 I never had any favorite war heroes but I consider those who served in huge parts of the war heroes, such as Operation Overlord and Operation Market Garden. They risked and sacrificed the most just so we can live today. Those who died and did end up paying that ultimate sacrifice did so for the same purpose. 7. What advice would you give to newbie reenactors? My advice to those starting is whenever you have questions about anything, always ask your officers or the lads who have been doing this for a while. For example, if you are looking at buying something for your kit, show them the item and ask them about it. Is it a good deal? Is there anything I should watch for with this item? Is the brand good? Was it common for my group to use this back then? Those kinds of things. Also, if you are unsure of the purpose of the gear or what it is used for or how to use it, do ask about that. If your group has a soldiers manual, study it as much as possible. It makes a huge difference in the long run. If you are struggling with something, always let your officers help you. Don't think they will scream at you like you see in the movies. For example, when you are doing drills and ceremonies and if you mess something up or need to fix the way you hold the rifle or whatever, they will very politely help you out.